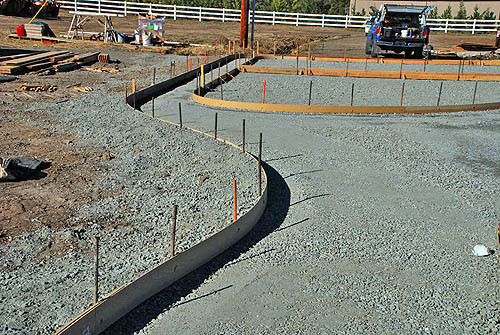 Following are a sequence of pictures and descriptions of what you can expect during the construction process. 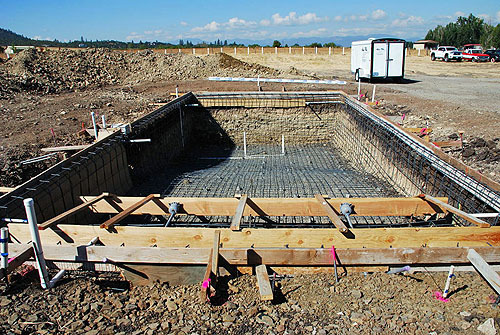 Your pool build typically takes 6-9 weeks depending on the complexity of the pool and the weather. 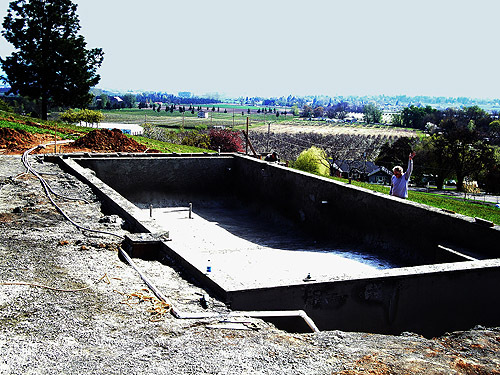 The initial layout of the pool is done. At this time we can see the orientation of the pool as it interacts with it's surroundings. Forms are placed and excavation is done. 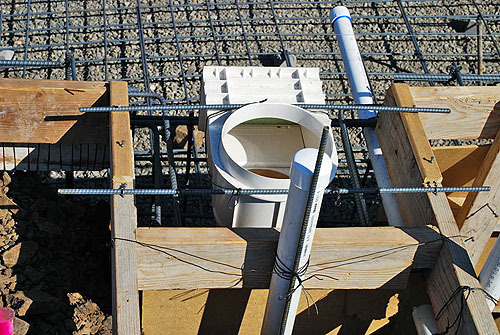 Structural steel reinforcement is installed along with the rough plumbing and lighting. 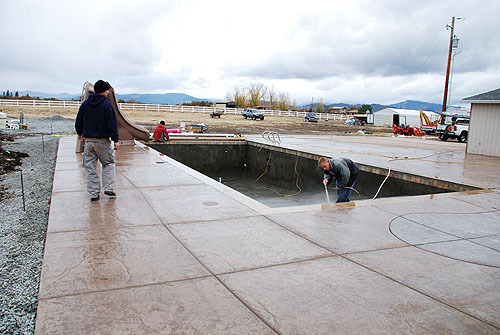 The shell of the pool is sprayed and shaped into place. 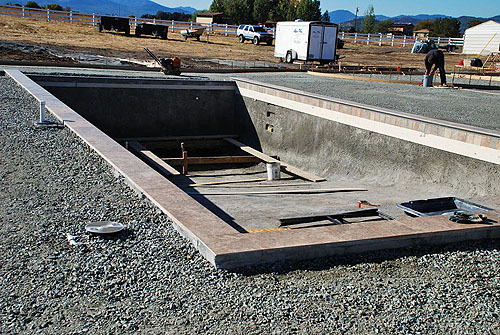 At this point, the shell is complete, the coping and tile are installed. 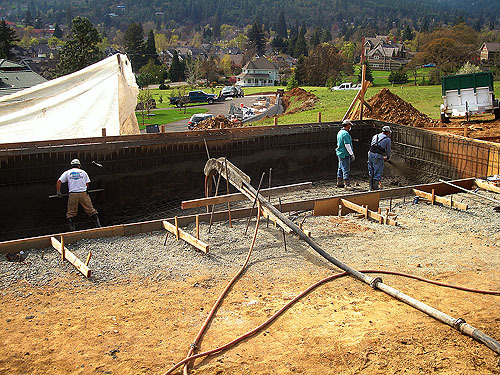 The deck is layed out and formed, plumbing is completed to the equipment location. The deck is poured and finished, equipment is installed and the pool is cleaned and prepped for plastering. At that point the pool is complete - just add water.